I'm delighted to have been invited to this year's Roots Gathering in Kent on 17th-19th May, where I'll be reading from The Septillion of Hheserakh and introducing people to my baby dragon - more about him later! If you haven't heard of the Roots Gathering, check out their website here - it looks brilliant. As soon as I have more details, I will post them - watch this space! 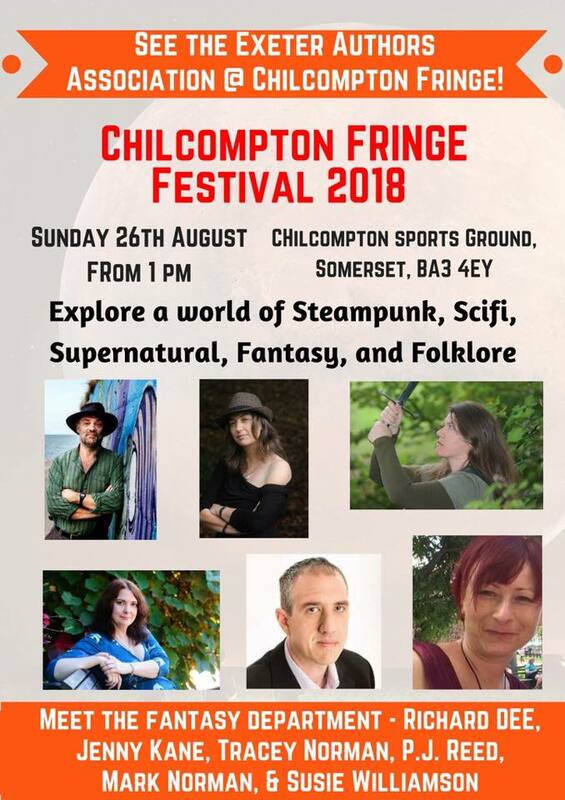 I'm delighted to announce that I will be appearing at this year's Chilcompton Fringe Festival alongside my colleagues from the Exeter Authors Association. This is the festival's second year and it's got a great line-up - have a look at the poster! So what will I be up to? 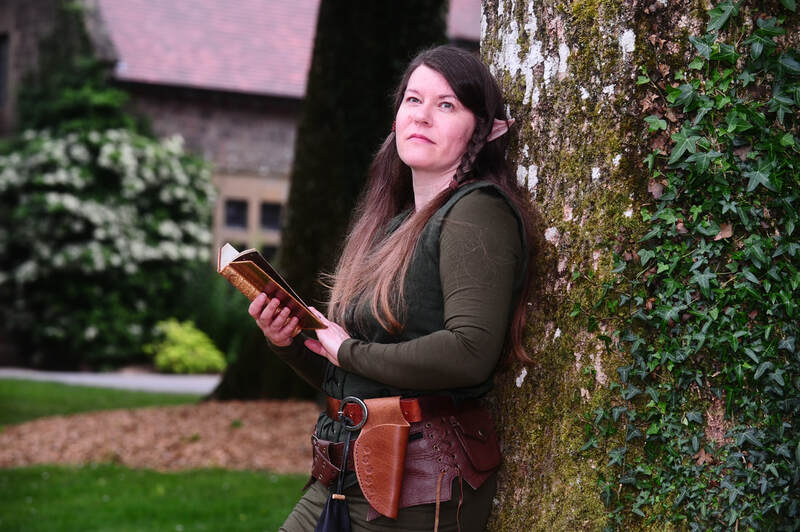 Well, this year, the Exeter Authors are putting on a series of dramatic readings from a number of genres, including fantasy, steampunk and historical fiction. Not only that, but a little known piece of English folklore will be revived for the first time in over a decade, as the Black Dog is run at the end of the afternoon. I will be appearing as my alter ego, Elora Valra, the Storyteller of Hheserakh, to share some of the Empire's legends with you. Check out the Chilcompton Fringe festival's website www.chilcomptonfringefest.co.uk for full details and have a look at www.exeterauthorsassociation.jigsy.com for more information about my author colleagues - they're a fantastically talented bunch and I'm really looking forward to hearing what they are going to be reading and discussing. Elora Valra, the Storyteller of Hheserakh. Come and meet her at 1.30 on 26th August as she shares some of the Empire's legends. I will be at the Crediton Community Bookshop this Saturday, May 5th, as part of their Author Showcase, supporting local authors. 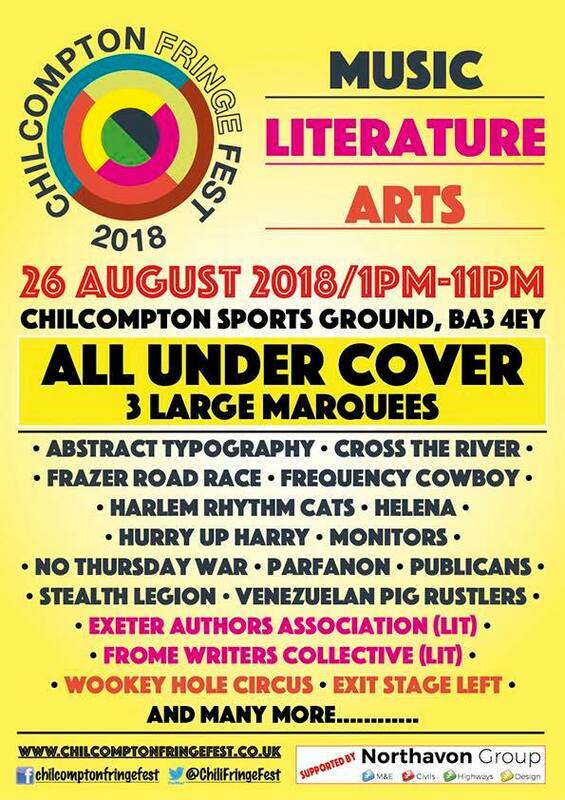 The event is from 11am-1pm and will feature a number of fantastic Devon-based authors across a variety of genres, so there will be something for everyone's taste. If you'd like to see the map of the Hheserakhian Empire, talk witches, the Old Ones or dragons, I will have something from each of the genres I write in - and don't forget, Aamena's monogrammed notes are only available from me at events, so if you'd like one, make sure you join me! You will find the Bookshop at 21 High Street, Crediton, EX17 3AH. I am delighted to have been invited to read an extract from my Lovecraftian horror Dark Words at fellow fantasy author Susie Williamson's book launch. 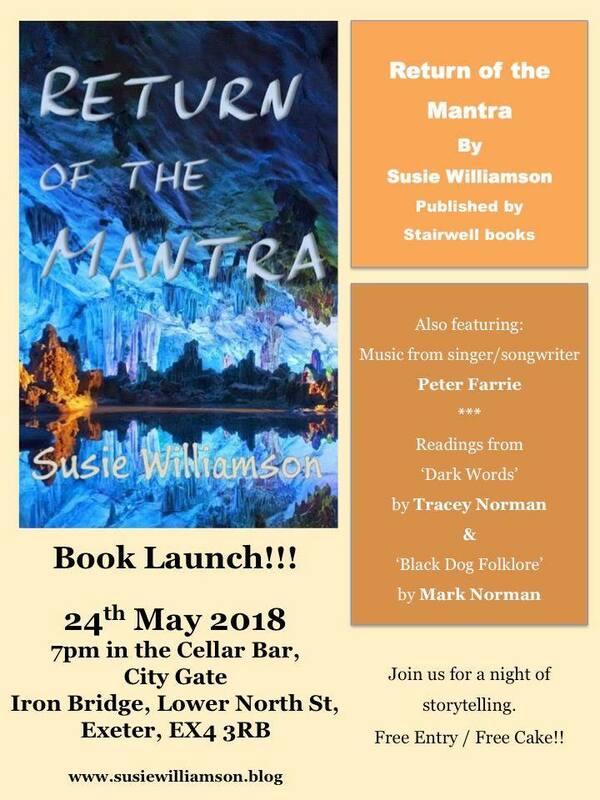 Her debut novel Return of the Mantra is out in May and she will be joined by Mark Norman (folklorist and creator of The Folklore Podcast), singer/songwriter Peter Farrie and myself in the Cellar Bar at the City Gate Hotel in Exeter on 24th May 2018. Check out the poster! The Exeter Authors Association is holding an Easter Eggstravaganza at Exeter Central Library on Saturday 31st March 2018. 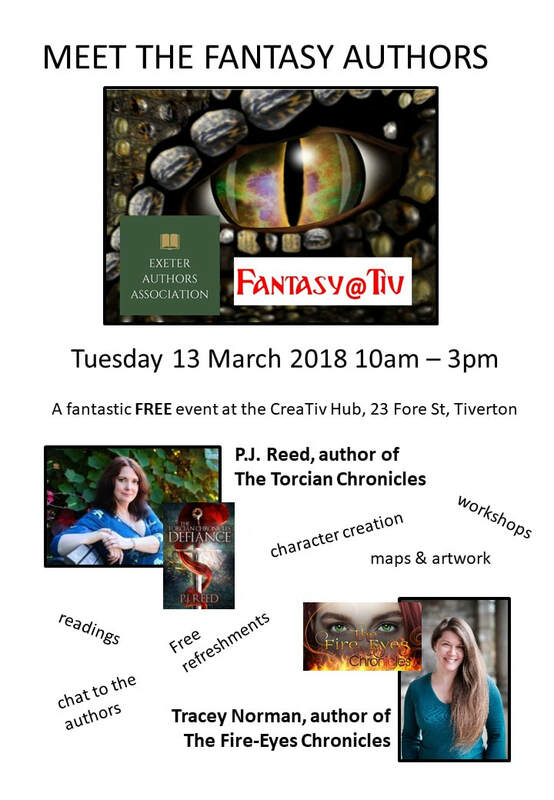 It's another fantastic FREE event, with workshops, discussion, talks, children's activities and the chance to buy personalised books direct from Devon-based authors. I will be there all day - I am reading my children's book Sammy's Saturday Job at 10am for dragon lovers aged 3-103. Follow the story of young dragon Sammy, who desperately wants to be a firefighter. She gets a chance to help one day, but it all goes horribly wrong. Then there is an emergency and Sammy has to think creatively about how she can use her unique skills to help. She manages to save the day and finally gets her dream job, setting fire to things so the firefighters can practise putting them out. There will also be a chance to meet my baby dragon and - if everyone has been good - to share in his hoard of gold (chocolate) coins. 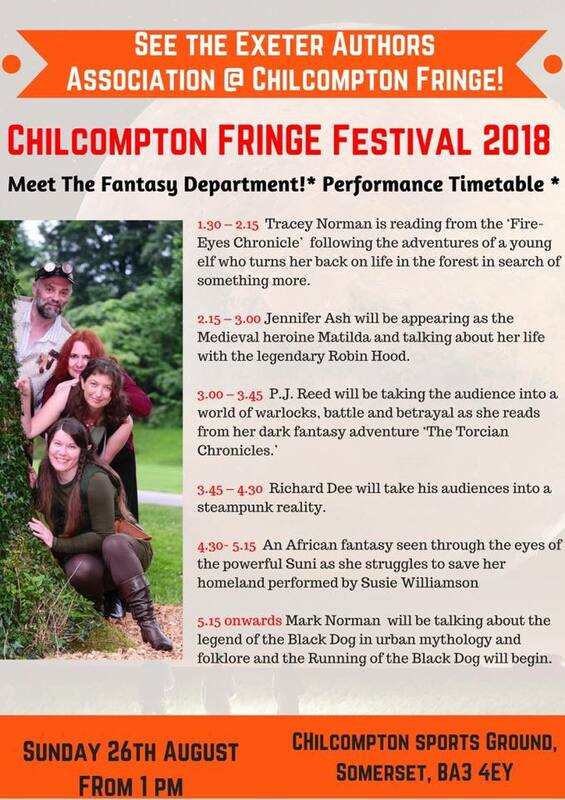 At 11.30, I'll be switching into historian mode and giving a talk on my continuing research in to the 1687 Lyme Regis witchcraft trial that inspired my play WITCH. If you're curious about the human story behind witchcraft accusations, this is the talk for you. There will be a chance to hear an extract from the audio version of the play, to have a look at copies of the original court documents and to discuss the wider issues, such as the treatment of women in a patriarchal society and the role of the early modern healer in his/her community. This last is something which really fascinates me, so I'll be looking at how someone with knowledge of healing could be their community's best friend...or a convenient scapegoat. 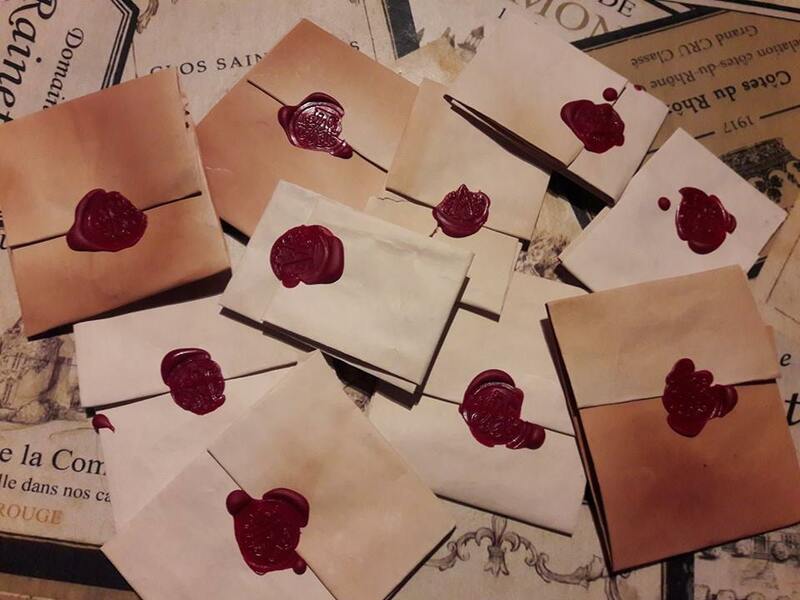 There is no magic, no broomsticks, familiars or devil pacts in my play - just a look at the best and worst of the human condition, all drawn from real-life events in the historical record. Come along and find out how a simple clay pipe devastated a woman's life. 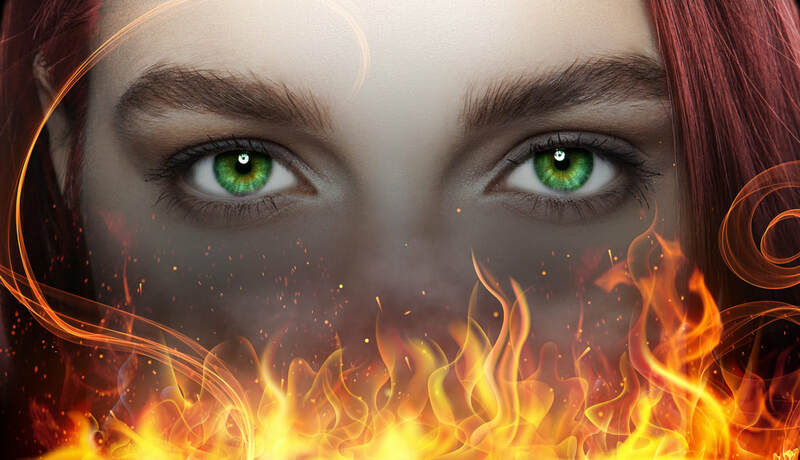 There will also be a chance to chat with me about Fire-Eyes! I will have with me the map of the northern reaches of the Hheserakh Empire, home to Zilyana, Dhussena and Aamena. I'm also hoping to bring with me some character portraits, to show you all what the main protagonists look like. In addition, if you enjoy Lovecraftian horror, you can pick up a free extract from my short story Dark Words, which can currently be enjoyed in two very different anthologies. Secret Invasion is a charity anthology raising money for MIND and features work by new and established authors. The stories are all written in the style of HP Lovecraft and are set in the West Country. Folklore and Fairy Tales Reimagined is a beautiful collection of prose and poetry from authors worldwide. I will have a copy of each with me for you to look at, with details of how to grab your own copy. 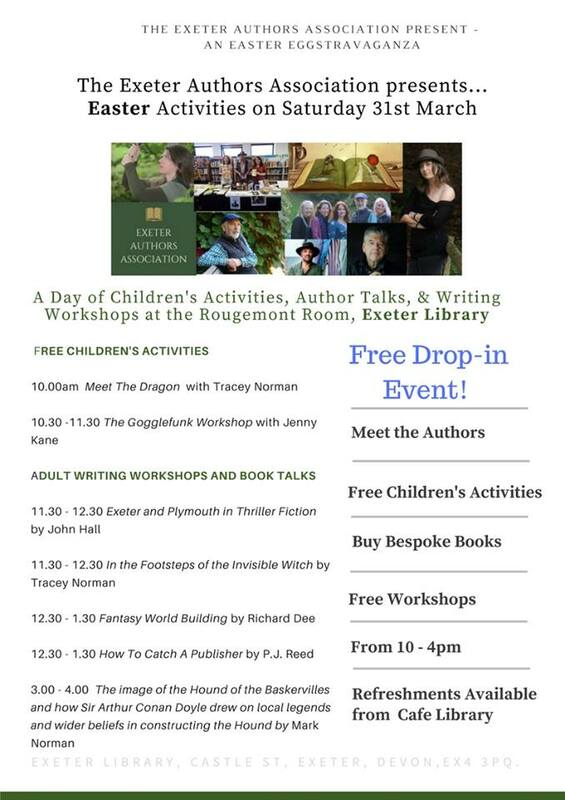 The Exeter Authors Association have, as usual, come up with a really varied programme of talks and workshops - there is something for all ages and interests, as you will see from the poster below. Check out my Facebook author page @TraceyNormanAuthor and leave me a comment in the event to let me know if you're going to come along!